Kayaking offers great sport and the opportunity to explore limestone islands and sea caves in the Andaman Sea and the Gulf Thailand. 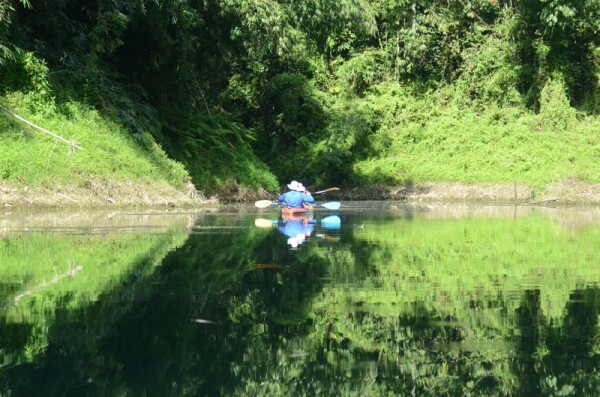 Kayaking in Southern Thailand has launched thousand of intrepid travelers into the mysterious grottoes, caverns, and lagoons that dot the archipelago of limestone outcrops in Phang Nga Bay, and the mysterious still waters and scenery of Khao Sok. 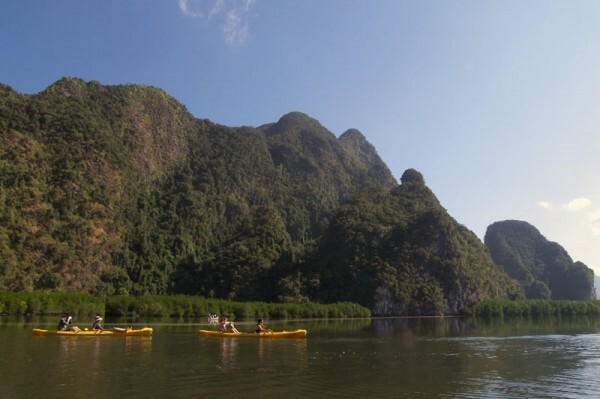 This environmentally friendly activity has proved extremely popular in recent years, with destinations throughout southern Thailand such as Trang and Tarutao, as well as Phang Nga and Khao Sok. There is a trip to suit everyone from the beginner to the more experienced adventure traveler , those wanting a relaxing holiday or the thrill seekers who want a challenge. (Cheow Lan = Rachprapa Dam) Pick up can be from Phuket, Khao Lak, Krabi, Surat Thani ( Ferry Terminal from Koh Samui ). Thailand Journey Adventure have developed this truly remarkable trip with the assistance of park rangers and local guides all with Thailand Journey Adventure world famous sense of fun and adventure. (Cheow Lan = Rachprapa Dam) Pick up can be from Phuket, Khao Lak, Krabi, Surat Thani (Ferry Terminal from Koh Samui ) Thailand Journey Adventure have developed this truly remarkable trip with the assistance of park rangers and local guides all with Thailand Journey Adventure world famous sense of fun and adventure. 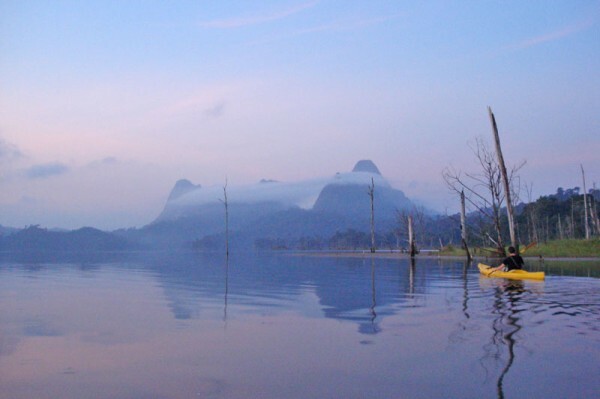 Phang Nga Bay is a popular destination. No two days here could be the same due to tide levels and the weather in the different seasons, unpredictable movements of wildlife, meaning that your Phang Nga Trip will be different from that experienced by others.